Happy Thanksgiving everyone! I hope everyone is having a great one. Thank you for stopping by today. 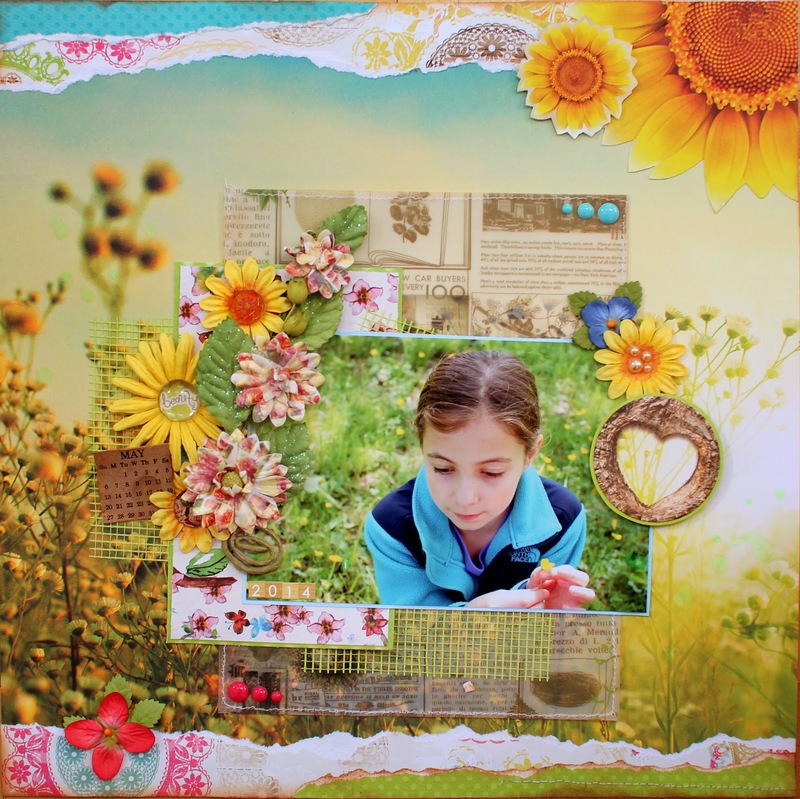 I'm sharing my final layout I was able to make with the "Nest" paper collection by Webster's Page. I just love the "photo real" patterned papers that were included in this collection, and of course I had to use them. This sheet was perfect for a photo of Morgan in a green field peppered with tiny yellow flowers. Again, I added some "Magic Mesh" and stitched around the edges of the vellum to give it more definition. Again, the cardstock is BoBunny's "Double Dot" cardstock - it's thick and textured, and has wonderful colors to choose from. Here's my layout. I hope you guys like it!